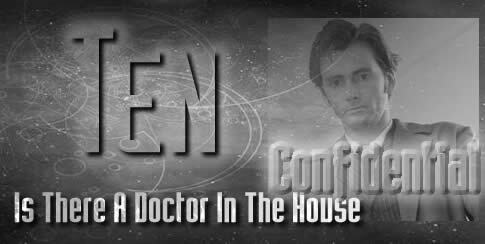 Is There A Doctor In The House is a multi-creature story. Every so often we need one. 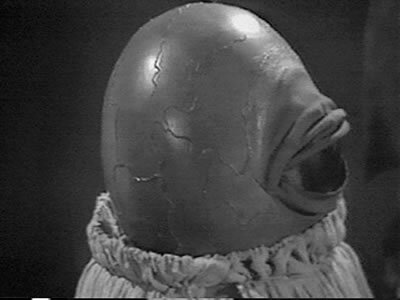 Alpha Centauri was first seen a long time back in the Peladon stories of the Third Doctor, when special effects and costumes weren’t always what they should be. 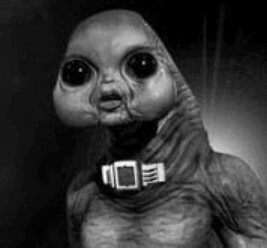 Alpha Centauri was one of those that people laugh about, a one-eyed green head with a body encased in what looked like a curtain, and the voice was frankly annoying. The Centauri race was, as the Doctor says in this story, the boy scouts of the universe who think that everyone can get along just fine. Despite how often they were proved wrong. The pre-action scene in the wardrobe with the digs at the royal family were something of a follow up to the comments made by The Doctor and Rose at the end of Tooth and Claw when it was strongly hinted that there is a touch of werewolf in the Windsors. Charles and Camilla are something of an easy target. And I’m not worried too much about being sent to the tower for treason! Wyn’s problem with finding something to wear and The Doctor’s solution to her problem was just one of those moments that wrote itself. The idea of her wearing Time Lord robes alongside The Doctor, feeling equal to him was irresistible. With races like the Raxacoricofallapatorians invited to dinner, disaster was inevitable. Brows Dor-Kline Rowe-Gan Masafreen is as authentic a name for one of that species as I could devise. There is a sort of convention for such names. They have to have at least one hyphen. The main part of the story is a murder mystery in the old fashioned British film tradition. The one it most resembles IS the 1965 film based on the Agatha Christie novel, The Alphabet Murders, in which a specific murder is hidden by committing random murders in an apparent pattern. And it comes down to a very simple, but subtle solution in the end. Those who got sick or died were the ones who used the salt. The idea that Raxacoricofallapatorians need salt on their food is an invention of mine to make the story work. But the final defeat of the killer Raxacoricofallapatorian is the traditional one – vinegar, and the fact that there is a big kitchen on hand makes it easy.